Hello everyone, and welcome to the week! It’s time once again for our look back at the noteworthy updates of the last seven days. It’s a little lighter than usual this week, and I can only assume it was because developers took time off to observe Eli Hodapp’s birthday. Still, we’ve got some good stuff in here, so be sure to take a look. Of course, you can keep an eye out for updates yourself using AppShopper Social (Free), the watchlist in the TouchArcade App (Free), or by participating in the TouchArcade forums, but this weekly summary is here to fill in the things you might have missed. Let’s dig in! FINAL FANTASY â…¨, $20.99 This is mostly a bug fix update, but the developers at least added a button to manually rotate the screen for those who like to play from the opposite screen alignment. A couple of nasty bugs were squashed, in particular a couple that messed with the ending. Still no fixes for the stutter at the start of videos or the issues with MFi controllers, sadly. Perhaps that will come in the next update. Implosion - Never Lose Hope, $9.99 Many readers were waiting patiently for Implosion’s big update that was originally planned for January. It took a few weeks longer, but it finally came last week, adding a new character and a new chapter to play around with. 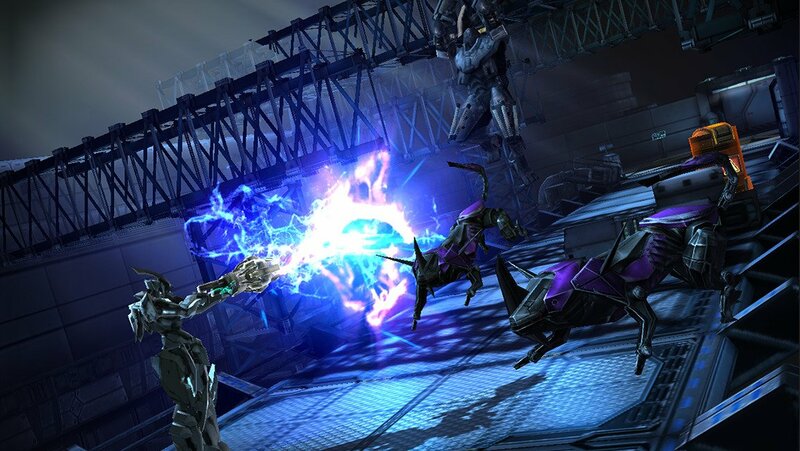 This update doesn’t address the Game Center bug, unfortunately, so if you’re one of those afflicted with it, you still won’t be able to play Implosion. Otherwise, full sail ahead, friends. Perfect Paths, $1.99 Perfect Paths is a great puzzle game, and to be honest, I kind of figured it was done. But right out of nowhere, 11 new levels to play! Well, it’s probably not right out of nowhere completely, but it felt like that to me, so I’m sticking with it. It seems to be on sale at the moment, too, so there’s no better time to give it a shot. The Greedy Cave, $0.99 This one technically got two updates last week. The first update added some new Elite Monsters along with some extra customization options when you’re making your character. Also, for those who like the benefits a helmet provides but think it looks silly on your giant noggin, you can now flip a toggle to make your helmet disappear even while you continue to wear it. The future, eh? As for that second update, as you might expect, it fixes some critical bugs that slipped into the first update. Family Guy The Quest for Stuff, Free Family Guy gets some weird, weird cross-overs. Uh, so this one is a mash-up with The Princess Bride, and all of your favorite characters make the scene. Well, probably not all of your favorite characters, but most of them, anyway. Peter Griffin and Westley team up to save Princess Buttercup and Lois from dragons or something. On the one hand, it makes little sense, but on the other hand, unexpected cameos are a major source of the enjoyment of the show, so it’s probably fine. Pocket Mine 2, Free Pocket Mine 2 is celebrating its first anniversary in much the same fashion it has lived its whole life: by adding more stuff. A new island is available, along with a new playable character. With that comes new gear, some of which will be distributed through the daily events that will be running all through March. This update also prepares the game for its upcoming St. Patrick’s Day event. Pet Rescue Saga, Free Representing King this week, Pet Rescue Saga adds another 15 levels to its total, this time based around chasing a white rabbit. I’m pretty sure that’s a metaphor for Dave The Puppy’s new nefarious dealings, so tread carefully. He’s more the “if the bird does not sing, kill it" type, if you know what I mean. HELLO HEROâ„¢, Free What’s up, hero? How you doing? How…how are the wife and kids, hero? I’m just interested is all, hero. Oh, fine. Hello Hero got a big update last week that adds a new difficulty mode, new heroes and items, and a bunch of additions to the user interface to make the game easier to play. The shop has also seen some updates. Good-bye, hero. Templar Battleforce Elite, $9.99 Wow, talk about a UI update! 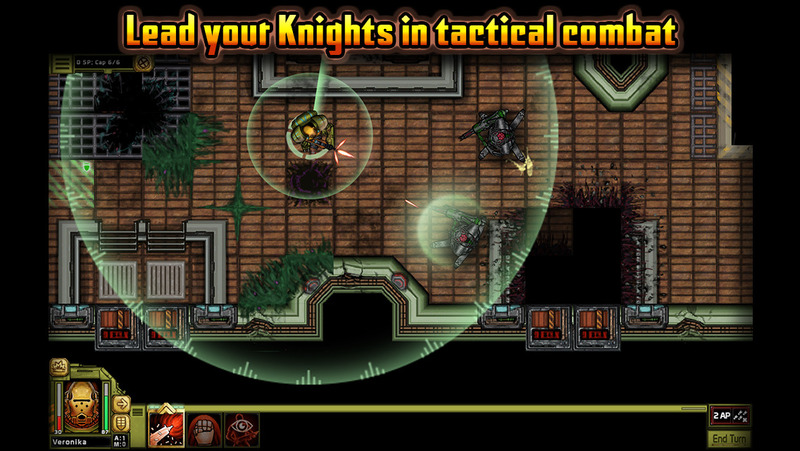 Templar Battleforce has gotten a huge facelift, and it’s easier to get more information at a glance than ever before. In terms of the gameplay mechanics, this new version only makes a few small tweaks, but they are welcome ones. I’m just kind of thrilled with how much better this game looks compared to when I reviewed it at launch. Heroes of Steel RPG Elite, $3.99 Heroes Of Steel takes a huge step towards finishing its story with this update, which adds a ton of Episode 4 content. New story arcs, 11 new dungeons, a new town, and a bunch of new monsters and gear pieces should keep you busy for a while. Aside from the new stuff added, there have been a few balance tweaks, UI improvements, and of course, bug fixes. This update is so over-stuffed that I think I can safely hand out the coveted Update Mondays Most Spider-Mans Of The Week award to it. Good job, developers! The Simpsonsâ„¢: Tapped Out, Free Ah yes, a chance for Homer to rub something in Marge’s face yet again. With this casino update, we can now handwave all kinds of things. Simple gameplay that revolves mostly around setting timers and tapping? Well, that doesn’t matter, because you have a gambling problem! Adding items and characters that fans will want the most but can’t get without paying real money? It doesn’t matter, because you have a gambling problem!. The Sandbox - Building & Craft, Free The Sandbox has a new face in its roster, and it’s a cyclops. No, not the mopey writer-punching-bag of the X-Men, this one is the mythological one. With the one eye. No optic blasts. No ruby-quartz visors. It’s just a big monster with a club and poor peripheral vision. It has no strong opinions one way or the other on redheads. It does have an opinion on smashing things, however, and I would say that it is in favor of it. Well, I think it’s pretty cool, anyway. Sling Kong, Free See, I think the problem I have here is that when I hear Kong, I’m thinking apes. But Sling Kong has gone way outside of that box, as its Kongs are pandas, bugs, and all kinds of non-ape-related animals. Well, the bugs are the big new addition to this version, but there are some new flying power-ups you can collect, as well as a new Mega Sling that will show up randomly to launch you really far. Heavenstrike Rivals â€“ A Monster Tactical TCG!, Free Honestly, I’m kind of surprised it took this long, but Heavenstrike Rivals finally has friend lists. With those comes a new party mode that lets you do various activities with your buddies. This update also seeds in 50 new characters that will show up in future events, including some Final Fantasy characters. If you’ve got it, flaunt it, I suppose. Last Horizon, $2.99 Last Horizon has a new gameplay mode called Escape, complete with its own achievements and leaderboard. This version also unlocks all of the gameplay modes for everyone, so now you can jump right to the hard bits if you’re the reckless sort. As incentive to actually finish everything, you now get a shiny new badge on your title screen for every flight you manage to finish. 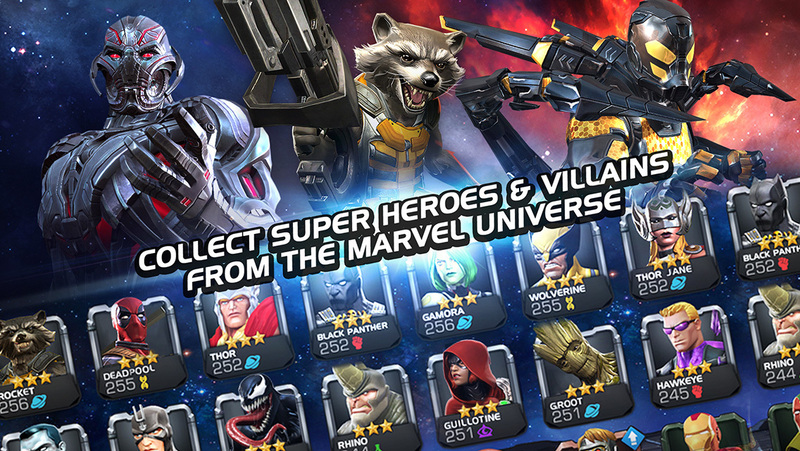 MARVEL Contest of Champions, Free Well, I guess it was inevitable that the developers would find a way to cram some kind of war feature into this game at some point. Make an alliance, that take that alliance to another alliance to have alliance wars where you can win some goodies. Maybe sometimes that alliance comes to your alliance to alliance war? And perhaps on Sundays there’s a lovely alliance cease-fire where everyone sits down and has some cookies while they chat about what they think of Fuller House. But then back to alliance wars on Mondays, and that’s where we are now. Plus, yet another resource/currency to stockpile and spend! Are you ready to earn (read: grind) Loyalty? Splash Cars, Free If you liked the gameplay in Splash Cars but simply can’t get on with energy/stamina systems, you’ll love this new update. You can now buy your way out of the energy system by buying a $3.99 IAP. This new version also includes two new cars and five new levels. That’s what I call a crowd-pleasing update! Pixel Boat Rush, Free This update seems aimed at making the game a bit more fun for beginners. It modifies the spawn system in endless mode to take lower-level boats into account, and smooths out the difficulty on a few of the tests and races. The game still offers a tough challenge at the upper end, of course. It’s just a bit easier to get into now. Tennis Champs Season 3, Free Blame this one on TouchArcade’s own Andy Fretz. Tennis Champs Returns had a bit of a flaw in its AI where if you came on too strongly in the beginning, it would eventually become nigh-invincible. That’s been fixed in this update. In addition, there’s a new option so that you’ll always play at the bottom of the screen, increased XP rates, improved skill point gains, and an option to adjust the directional pad’s sensitivity. Now, let’s hope Andy doesn’t break anything else.